This post is sponsored by PetSmart & Wellness Natural Pet Food and the BlogPaws Professional Pet Blogger Network. I am being compensated for helping spread the word about Wellness TruFood, but Rosie Discovers only shares information we feel is relevant to our readers. Wellness Natural Pet Food is not responsible for the content of this article. As you may know, Seven requires food. As a garfield shaped orange tabby, his curves require upkeep with the finest of foods. That coupled with his ability to traumatize us into feeding him on demand means he gets what he wants. Is he spoiled? By all means yes. Does that mean I get out of cleaning up his messes. Yes, but it is definitely worth taking a closer look at his food. 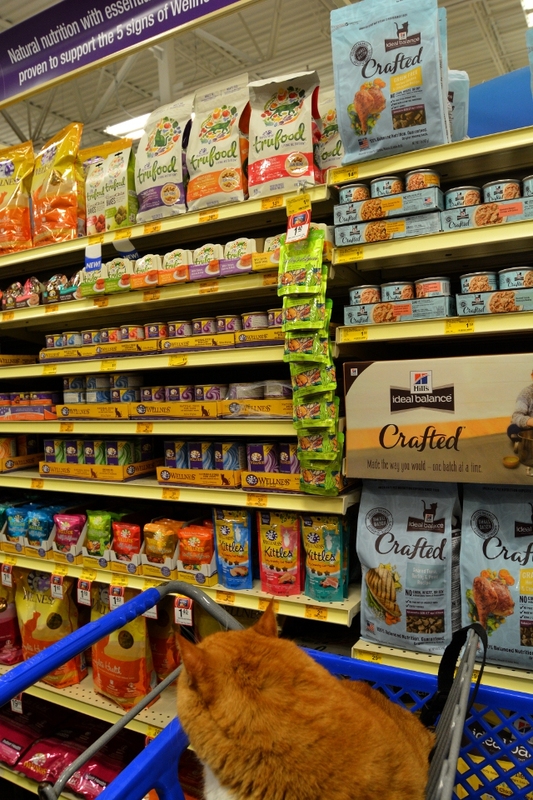 PetSmart® has a variety of options including Wellness® TruFood®. Like all of us, Seven has the liking for the extra savory sometimes unhealthy snacks. He would eat chips if we’d let him. He likes the salt and greasy fats. However, we’d much rather provide him with a snacking alternative for when that dry kibble just won’t do. Or he’s decided he’s far too lazy to walk all the way to his dish. That 20 feet truly is such a long way for such a cat of his size. Even as I write this post he is calling out for a ride, which I am apt to ignore. 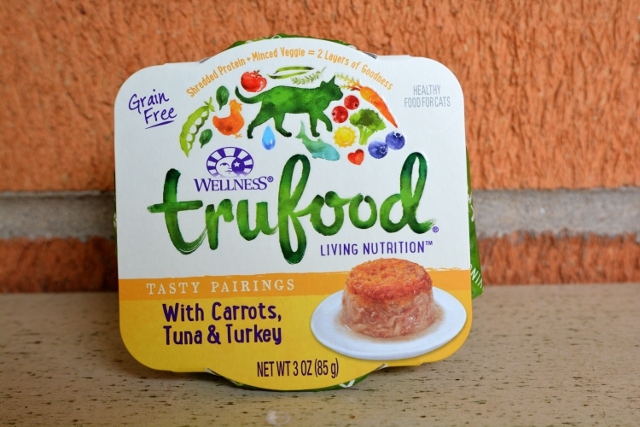 Wellness TruFood has their best feature right on the package. Everything inside of this food you know what it is. All the ingredients are good for your cat. Vitamins and minerals have been added so you know they are getting a balanced diet. As usual we were worried about our cat and his picky eating habits. We have tried to supplement his diet with vegetables before. He doesn’t usually have a liking for them. Luckily, there was quite an aroma denoting more than just carrots. He went after that offering of goodness so fast we had to pull him away. We had to get photos after all. He was in love. He even ran after the plate. 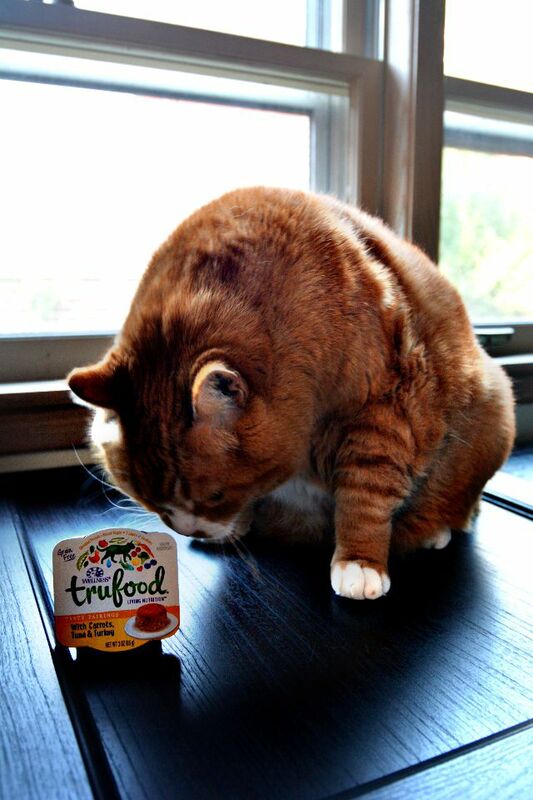 He was not letting TruFood get away as his newest true love of which he has many. Most are brushes and some are filled with catnip. I think the chicken liver, tuna, turkey and chicken broth added up to a flavor that he couldn’t resist. The minced veggie and shredded protein coupled with the lack of grains means this is top notch cat food. 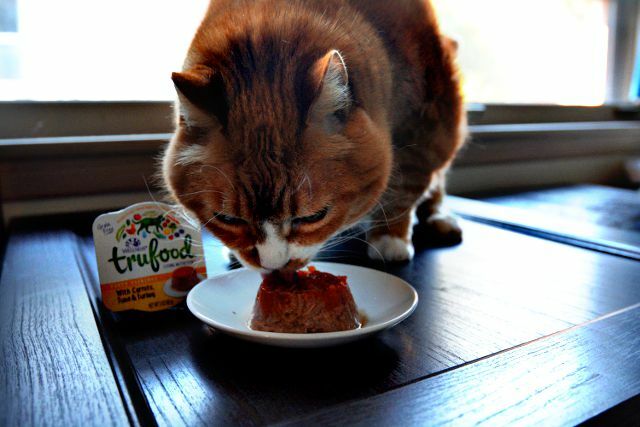 TruFood has everything and nothing that he could do without. No more chips for this pawed scoundrel. We definitely like to provide variety in his diet. 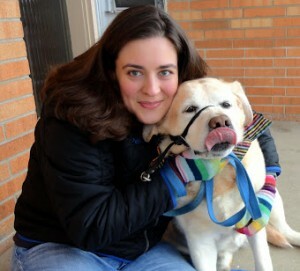 I know our pets benefit from enrichment and a slight tweak can add extra benefits to his health as well. 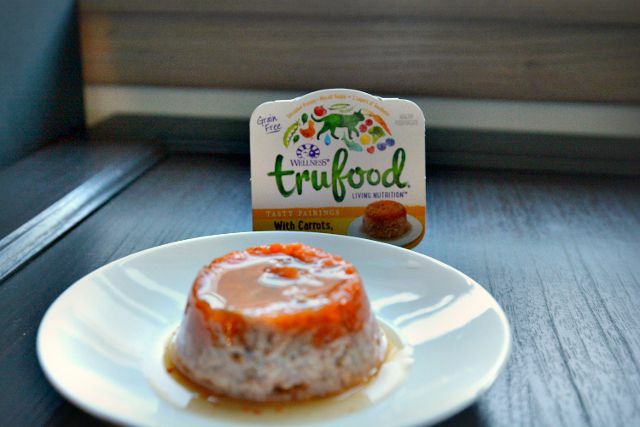 TruFood has a variety of flavors available in wet and dry at PetSmart. 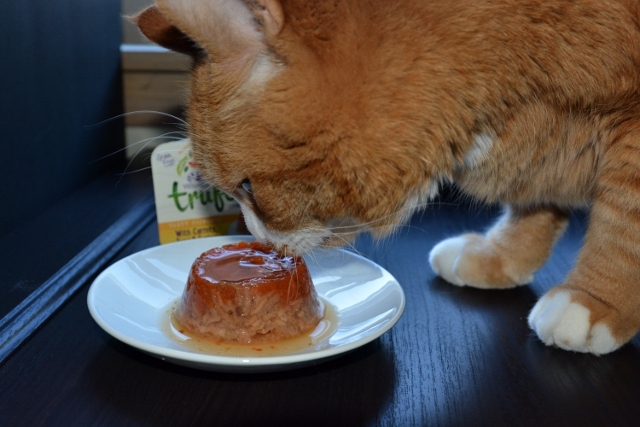 One is sure to please your picky cat as well. We hope that you will gain living nutrition for your pet. We know that ours will be yowling for more hopefully during daylight hours. Make sure to check out PetSmart on twitter, facebook and instagram to keep up on all the latest pet stuff.